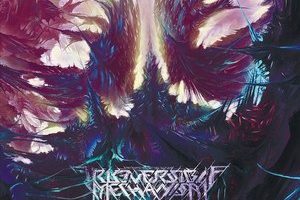 In an interesting turn of events, back in December 2014 Irreversible Mechanism actually released Infinite Fields by themselves on Bandcamp. Within a day, it was taken back down as Blood Music had immediately signed the band. Now listening to Infinite Fields, it’s quite easy to see why Blood Music was so quick to scoop them up. This is some evil grin inducing technical death metal. 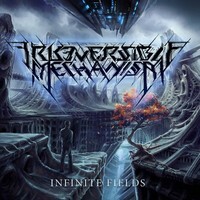 Irreversible Mechanism is a two-piece from Belarus, who snagged ex-The Faceless drummer Lyle Cooper to aid them as a session member on Infinite Fields. What’s interesting about Irreversible Mechanism’s music is how much it pulls from a variety of death metal sources. You can hear the mind-boggling technicality of visionaries such as Spawn of Possession or Necrophagist, the atmosphere and blazing speed of Fleshgod Apocalypse (read: Oracles-era), and even a tip of the hat towards some melodic death metal in the vein of Inferi. All of this, of course, is woven around a sci-fi concept and theme (as if the cover art didn’t give that away). If it can be believed, the technical death metal riffage is tastefully woven in, and given some breathing room by the addition of keyboards. There’s a bit of restraint that keeps Infinite Fields from taking on a cold, futuristic embodiment that many tech death peers often end up with. Take “The Agony” for instance: it opens with some synths before a frantic, yet melodic riff opens things up. There is some tasteful soloing towards the end of the track, surrounded by some subtle keys that keep the air of atmosphere instead of going clinical. The title track is also a good indicator of the band’s ability to weave complicated riffing while keeping it listenable, alongside some well-placed slowdown where the keys increase their role to provide an intriguing sci-fi vibe. An impressive debut that seemingly came out of left field, Irreversible Mechanism is undoubtedly going to be the tech death band people are talking about here in 2015. With their mastery of merging the brutal with the symphonic this early on in their career, it seems they are a band all but destined to have their name right next to the upper echelon within a few years.